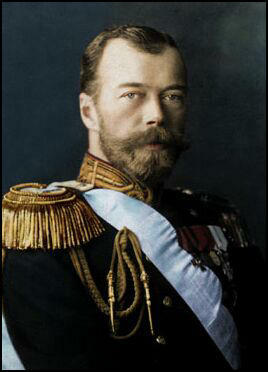 As Nicholas II was supreme command of the Russian Army he was linked to the country's military failures and there was a strong decline in his support in Russia. George Buchanan, the British Ambassador in Russia, went to see the Tsar: "I went on to say that there was now a barrier between him and his people, and that if Russia was still united as a nation it was in opposing his present policy. The people, who have rallied so splendidly round their Sovereign on the outbreak of war, had seen how hundreds of thousands of lives had been sacrificed on account of the lack of rifles and munitions; how, owing to the incompetence of the administration there had been a severe food crisis." The First World War was having a disastrous impact on the Russian economy. Food was in short supply and this led to rising prices. By January 1917 the price of commodities in Petrograd had increased six-fold. In an attempt to increase their wages, industrial workers went on strike and in Petrograd people took to the street demanding food. On 11th February, 1917, a large crowd marched through the streets of Petrograd breaking shop windows and shouting anti-war slogans. Prince George Lvov, was appointed the new head of the Provisional Government. Members of the Cabinet included Pavel Milyukov (leader of the Cadet Party), was Foreign Minister, Alexander Guchkov, Minister of War, Alexander Kerensky, Minister of Justice, Mikhail Tereshchenko, a beet-sugar magnate from the Ukraine, became Finance Minister, Alexander Konovalov, a munitions maker, Minister of Trade and Industry, and Peter Struve, Ministry of Foreign Affairs. The Petrograd Soviet recognized the authority of the Provisional Government in return for its willingness to carry out eight measures. This included the full and immediate amnesty for all political prisoners and exiles; freedom of speech, press, assembly, and strikes; the abolition of all class, group and religious restrictions; the election of a Constituent Assembly by universal secret ballot; the substitution of the police by a national militia; democratic elections of officials for municipalities and townships and the retention of the military units that had taken place in the revolution that had overthrown Nicholas II. Soldiers dominated the Soviet. The workers had only one delegate for every thousand, whereas every company of soldiers might have one or even two delegates. Voting during this period showed that only about forty out of a total of 1,500, were Bolsheviks. 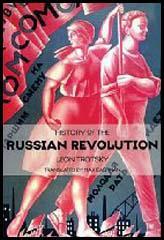 Mensheviks and Socialist-Revolutionaries were in the majority in the Soviet. (1) George Buchanan met Nicholas II at the Imperial Palace on 12th January, 1917. He later wrote about this meeting in his book, My Mission to Russia and Other Diplomatic Memories (1922). I went on to say that there was now a barrier between him and his people, and that if Russia was still united as a nation it was in opposing his present policy. The people, who have rallied so splendidly round their Sovereign on the outbreak of war, had seen how hundreds of thousands of lives had been sacrificed on account of the lack of rifles and munitions; how, owing to the incompetence of the administration, there had been a severe food crisis, and - much to my surprise, the Emperor himself added, "a breakdown of the railways". All that they wanted was a Government that would carry on the war to a victorious finish. The Duma, I had reason to know, would be satisfied if His Majesty would but appoint as President of the Council a man whom both he and the nation could have confidence, and would allow him to choose his own colleagues. I next called His Majesty's attention to the attempts being made by the Germans, not only to create dissension between the Allies, but to estrange him from his people. Their agents were everywhere at work. They were pulling the strings, and were using as their unconscious tools those who were in the habit of advising His Majesty as to the choice of his Ministers. They indirectly influenced the Empress through those in her entourage, with the result that, instead of being loved, as she ought to be, Her Majesty was discredited and accused of working in German interests. The Emperor once more drew himself up and said: "I choose my Ministers myself, and do not allow anyone to influence my choice." There are people who assert that the Ministers are at fault. Not so. The country now realizes that the Ministers are but fleeting shadows. The country can clearly see who sends them here. To prevent a catastrophe the Tsar himself must be removed, by force if there is no other way. The strikers and rioters in the city are now in a more defiant mood than ever. The disturbances are created by hoodlums. Youngsters and girls are running around shouting they have no bread; they do this just to create some excitement. If the weather were cold they would all probably be staying at home. But the thing will pass and quiet down, providing the Duma behaves. The worst of the speeches are not reported in the papers, but I think that for speaking against the dynasty there should be immediate and severe punishment. The whole trouble comes from these idlers, well-dressed people, wounded soldiers, high-school girls, etc. who are inciting others. Lily spoke to some cab-drivers to find out things. They told her that the students came to them and told them if they appeared in the streets in the morning, they should be shot to death. What corrupt minds! Of course the cabdrivers and the motormen are now on strike. But they say that it is all different from 1905, because they all worship you and only want bread. The situation is serious. The capital is in a state of anarchy. The government is paralyzed; the transport service has broken down; the food and fuel supplies are completely disorganized. Discontent is general and on the increase. There is wild shooting in the streets; troops are firing at each other. It is urgent that someone enjoying the confidence of the country be entrusted with the formation of a new government. There must be no delay. Hesitation is fatal. The situation is growing worse. Measures should be taken immediately as tomorrow will be too late. The last hour has struck, when the fate of the country and dynasty is being decided. The government is powerless to stop the disorders. The troops of the garrison cannot be relied upon. The reserve battalions of the Guard regiments are in the grips of rebellion, their officers are being killed. Having joined the mobs and the revolt of the people, they are marching on the offices of the Ministry of the Interior and the Imperial Duma. Your Majesty, do not delay. Should the agitation reach the Army, Germany will triumph and the destruction of Russian along with the dynasty is inevitable. All attention here is concentrated on the food question, which for the moment has become unintelligible. Long queues before the bakers' shops have long been a normal feature of life in the city. Grey bread is now sold instead of white, and cakes are not baked. Crowds wander about the streets, mostly women and boys, with a sprinkling of workmen. Here and there windows are broken and a few bakers' shops looted. But, on the whole, the crowds are remarkably good-tempered and presently cheer the troops, who are patrolling the streets. Revolution in Moscow. Great scenes in front of Duma. Workmen and Socialists take the upper hand and encamp in Duma. Troops all come over. No bloodshed and the crowd on the whole very orderly. No news from Petrograd. The fine weather brought everybody out of doors, and as the bridges and approaches to the great thoroughfare were for some unaccountable reason left open, crowds of all ages and conditions made their way to the Nevsky, till the miles separating the Admiralty from the Moscow Station were black with people. Warnings not to assemble were disregarded. No Cossacks were visible. Platoons of Guardsmen were drawn up here and there in courtyards and side streets. The crowd was fairly good-humoured, cheering the soldiers, and showing themselves ugly only towards the few visible police. Shortly after 3 p.m. orders were given to the infantry to clear the street. A company of Guards took up their station near the Sadovaya and fired several volleys in the direction of the Anichkov Palace. Something like 100 people were killed or wounded. On the scene of the shooting hundreds of empty cartridge cases were littered in the snow, which was plentifully sprinkled with blood.After the volleys the thoroughfare was cleared, but the crowd remained on the sidewalks. No animosity was shown towards the soldiers. The people shouted "We are sorry for you, Pavlovsky (the Pavlovsky Guards Regiment). You had to do your duty. I was talking to friends there in the corridor on the first floor, outside the office of General Manikovsky, the Chief of the Department, when General Hypatiev, the chemical expert, and M. Tereshchenko arrived with the news that the depot troops of the garrison had mutinied and were coming down the street. I heard for the first time that a company of the Pavlovsky Regiment had fired on the police on the previous evening and had been disarmed and confined in the Preobrazhensky barracks. The Preobrazhensky and Volynsky Regiments had now mutinied. We went to the window and waited. Outside there was evident excitement, but no sound came to us through the thick double windows. Groups were standing at the corners gesticulating and pointing down the street. Officers were hurrying away, and motorcars, my own amongst the number, were taking refuse in the courtyards of neighbouring houses. It seemed that we waited at least ten minutes before the mutineers arrived. Craning our necks, we first saw two soldiers - a sort of advanced guard - who strode along the middle of the street, pointing their rifles at loiterers to clear the road. One of them fired two shots at an unfortunate chauffeur. Then came a great disorderly mass of soldiery, stretching right across the wide street and both pavements. They were led by a diminutive but immensely dignified student. There were no officers. All were armed, and many had red flags fastened to their bayonets. They came slowly and finally gathered up in a compact mass in front of the Department. Soon we heard the windows and doors on the ground floor being broken in, and the sound of shots reached us. The telephone rang and Manikovsky took up the receiver. "They are shooting at the Sestroresk Works, are they?" he roared in his great voice. "Well, God be with them! They are shooting at the Chief Artillery Department too!" An excited orderly rushed in: "Your High Excellency! They are forcing their way into the building. Shall we barricade your door?" But Manikovsky had kept his nerve, and said: "No. Open all doors. Why should we hinder them? "As the orderly turned away, astonished at this new complaisance, Manikovsky sighed, and said to me with the characteristic Russian click of worried anger: "Look what our Ministry has brought us to!" 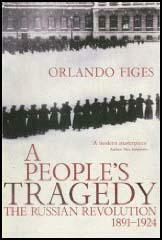 (12) Stinton Jones was in Petrograd during the February Revolution. In a short time the whole of the city was aglow with the glare from the burning buildings which, in addition to the heavy firing, made the situation appear far worse than it actually was, and had the effect of clearing the streets of the more serious-minded and nervous citizens. The mobs presented a strange, almost grotesque appearance. Soldiers, workmen, students, hooligans and freed criminals wandered aimlessly about in detached companies, all armed, but with a strange variety of weapons. A student with two rifles and a belt of machine-gun bullets round his waist was walking with another with a bayonet tied to the end of a stick. A drunken soldier had only the barrel of a rifle remaining, the stock having been broken off in forcing an entry into some shop. A steady, quiet-looking business man grasped a large rifle and a formidable belt of cartridges. The crowds commenced to commandeer every automobile in the city, no matter to whom it might belong. These automobiles they filled with armed men, with at least two soldiers lying on the mudguards with loaded rifles and fixed bayonets. These formidable units then rushed all over the city shooting wildly, but with the chief object of hunting down the police, especially those in the outlying districts who had not yet become aware of the true state of affairs in the city. (13) Harold Williams witnessed the mutiny in the Russian Army that led to the overthrow of Nicholas II. When all the speakers were hoarse and weary, it was certain that the whole Petrograd garrison of 140,000 men had gone over to the revolution. But the officers were not with them. Uncertain of their duty, unwilling to break their oath of allegiance, they held back - all but a very few - and passed the day in deep depression while Petrograd was rejoicing. There is no sacrifice that I would not be willing to make for the welfare and salvation of Mother Russia. Therefore I am ready to abdicate in favour of my son, under the regency of my brother Mikhail Alexandrovich, with the understanding that my son is to remain with me until he becomes of age. The astounding, and to the stranger unacquainted with the Russian character almost uncanny, orderliness and good nature of the crowds of soldiers and civilians throughout the city are perhaps the most striking features of the great Russian Revolution. At the Taurida Palace yesterday it was wonderful to see the way in which the huge gathering of soldiers and civilians managed to avoid collision. Inside the building the work of the various Parliamentary Committees went on day and night with unflagging intensity. Probably the predominant impression that an American received from the events of the day was the self-restraint and order of the soldiers, as well as the workingmen. There were cases of killing and bloodshed, and during the day many were taken to the hospitals; but considering the size of the revolution and the number of men and soldiers engaged in the struggle, the amount of bloodshed was small. Outside of the destruction of property of the police districts, the officer's quarters, and the homes of the suspected aristocracy, there was little looting. The composition of the new government is extraordinarily moderate in the circumstances. There has been, and still is, danger from extremists, who want at once to turn Russia into a Socialist republic and have been agitating amongst soldiers, but reason has been reinforced by a sense of danger from the Germans and the lingering forces of reaction gaining the upper hand. In numberless talks I have had with soldiers I have been struck by their fundamental reasonableness, their sense of order and discipline. They wish to be free men, but very strongly realize their duty as soldiers. The more moderate Socialists, the so-called Plekhanov party, who stand for war, are very useful as mediators, and as soon as the new Government secures its ground the influence of the extremists will be diminished. (19) Arthur Ransome was an enthusiastic supporter of the February Revolution. It is impossible for people who have not lived here to know with what joy we now write of the new Russian Government. Only those who knew how things were only a week ago can understand the enthusiasm of us who have seen a miracle take place before our eyes. We knew how Russia worked for the war in spite of her Government. We could not tell the truth. It is as if honesty had returned. Russia had broken her chains and stands as the greatest free nation in Europe with republican France and liberal England. Nowhere outside Germany had Prussianism gone so far as here. Nowhere has it been so absolutely defeated. It is a wonderful thing to see the birth of freedom. With freedom comes brotherhood, and in Petrograd today there is a flow of brotherly feeling. Everywhere you see it in the streets. The trams are not yet running, and people are tired of endless walking. But the habit now is to share your cab with perfect strangers. The police have gone, but the discipline is marvelous. Everyone shares the task of maintaining discipline and order. A volunteer militia has been formed and 7,000 men enrolled as special constables, mostly students, professors, and men of the professional classes generally. These, with the help of occasional small patrols of soldiers, control the traffic, guard the banks, factories, and Government buildings, and ensure security. Soldiers, with all their freedom, are displaying a sense of order and discipline that would be hardly conceivable in any other nation. Throughout the revolution, when the city was actually under the control of thousands of soldiers, they behaved with few exceptions like thorough gentleman. We heard of no cases of cold-blooded murder. Only those officers or police were killed who opened fire on the soldiers. Private property nearly everywhere was scrupulously respected, and in most cases robbery was due to criminals disguised as soldiers. Good news comes this evening that the moderate group in the Soviet is gaining the upper hand, and the prospects are brighter than ever. Prince Kropotkin (now living in Brighton) and Plekhanov, veteran Socialist exiles, who the champion war as a war of defence and liberation, have been urgently invited to return to help in the work of reconstruction. Today, I am addressing you for the last time, my dearly loved armies. I have abdicated for myself and for my son, and I am leaving the throne of the Emperors of Russia. Much blood has been shed, many efforts have been made, and the hour of victory is approaching when Russia and her Allies will crush, in the common effort, the last attempts of the enemy. The unprecedented war must be conducted to the final victory. Those who think of peace and wish it now are twice traitors to their country. Every honest soldier must think that way. I urge you to fulfill your duty and to valiantly defend your Russia. Obey the Provisional Government! I quite understand your action, my hero. I know that you could not have signed anything that was contrary to your oath given at the coronation. We understand each other perfectly without words, and I swear, upon my life, that we shall see you again on the throne, raised there once more by your people, and your army, for the glory of your reign. You saved the empire for your son and the country, as well as your sacred purity, and you shall be crowned by God himself on earth in your own hand.